Darn, too slow! This Classic Doubles has already gone! 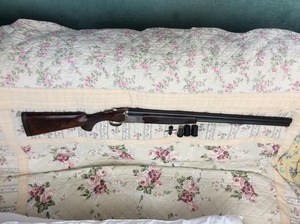 Classic doubles 30â Grade 2 sporter. In reasonable condition c/w 5 choke and a key. Spends most of its time sat in the cabinet so needs to go. Drop me a message if interested. Face to face with sgc holders only.